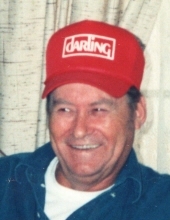 Biggers- James Darrell Edington, 75, passed away on April 11, 2019 at Five Rivers Medical Center. James was born on November 1, 1943 in Pocahontas to James David and Anna Jean Hearring Edington. He married the love of his life, Jane Carpenter, on August 18, 1979. He loved spending time with his grandchildren and enjoyed playing music, being at the river, hunting, fishing, and gardening. He retired from Clay County Electric Company as a lineman. He was preceded in death by his parents and his brother, Ricky Edington. He is survived by his wife of 39 years, Jane Edington of the home; sons, Kenny (Beth) Edington, Wayne Edington both of Corning, Logan (Jessica) Edington of Reyno; grandchildren, Jacqulyn Leonard, Jessica Stevens, BJ Pearson, Kenny Wayne Edington, Alyson Jane, Logan Ryan, Jackson, and Jennifer Edington, Debra, Ashley, Leann, and Nikki Edington; 16 great grandchildren; sisters, Kathy Smith of Pocahontas and Mindy Kolbrecker of Texas. Visitation will be on Sunday, April 14, 2019 from 2-4 pm at McNabb Funeral Home. Funeral will be on Monday, April 15, 2019 at 10 am at Old Reyno Free Will Baptist Church with Jed Daniels officiating. Burial will follow in Johnston Eddy Cemetery in Reyno. Pallbearers: Logan Edington, Kenny Edington, Aaron Walker, Shane Henson, Jerry Russom, and Jeremy Edington. Honorary pallbearers: Logan Ryan “Bobby” Edington and Jackson Edington. "Email Address" would like to share the life celebration of James Darrell Edington - McNabb Funeral Home. Click on the "link" to go to share a favorite memory or leave a condolence message for the family.